Home > Analysis > We Need To Talk About Fenway: Are The Owners Good Enough? We Need To Talk About Fenway: Are The Owners Good Enough? On October the sixth of this year, Fenway Sports Group will celebrate their seventh year as owners of Liverpool Football Club. Back then they were seen as our saviours, riding in on a white horse to rescue us from the grip of the two cowboys, Tom Hicks and George Gillett Jr., who had taken us to the brink of administration and bankruptcy. Some of our fans didn’t realise quite how serious the situation was until their takeover went through, even if nowadays everyone pretends they were 100% against them all the way. The situation was serious, though, and it’s undeniable that John Henry and FSG bought themselves a fair bit of grace for taking us back from the brink. That period of grace was never going to last forever, of course. So how have we done under the ownership of this new set of Americans? How much of the criticism is valid and how much is unfair? There is a certain section of the fanbase who will use absolutely anything as a stick to beat them with, regardless of whether or not it’s within their control. Some supporters will forgive them anything simply because they’re not Hicks & Gillett. As always, the truth probably lies somewhere in the middle. They’re not terrible, but they’re not the sort of owners some fans want in charge as they look over at the likes of Manchester City’s Qatari owners and Roman Abramovich at Chelsea with jealous eyes. I’m not going to get into the ins and outs of Hicks & Gillett’s reign here. For starters it would take far too long and I just don’t have the time. For another thing, other people have done it far more effectively than I ever could. If you want to know more about it then I’d heartily recommend Brian Reade’s book An Epic Swindle: 44 Months with a Pair of Cowboys, which covers everything about as well as anybody has. All I’ll say here is that they were only out for their own interests and were very bad indeed for the football club. If you want some somewhat light-hearted proof of that then all you need do is remember that they appointed Roy Hodgson as a replacement for Rafael Benitez. The ins and outs of how Hicks and Gillett were forced out of the club are also covered in the book and it’s just as well, that is also a little bit more complicated than I can go through here. What matters is that Fenway Sports Group saw an opportunity to get hold of a world-famous and top-class sports club for a cut-price fee. That is a fact that some supporters hold against them, referring to phrasing used in a recently released set of emails such as that they ‘stole’ the ‘franchise’. Ultimately, though, does that really matter? As businessmen, is it relevant that they saw themselves in a position to take advantage of how low our stock had fallen? I’m not so sure. Anybody who thinks that the arrived at the club with the intention of doing nothing more than earning money from us perhaps under-estimates the competitive nature of the world’s top business people. 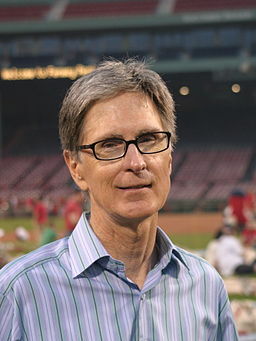 They want to win and John Henry’s experience with the Boston Red Sox proves as much. The problem wasn’t that they weren’t bothered about making the club a success, but rather that they didn’t know football as well as they knew baseball. They also made the mistake of thinking that the methods that helped them turn the Red Sox from also-rans into World Series winners would translate easily and immediately to Premier League football. They readily admitted that they didn’t know much about ‘soccer’ and would have to learn fast. Here is the one thing you can moan about: FSG paying more attention to the Red Sox than LFC over the last couple years. Not the money. That learning curve has undoubtedly been very steep, but it would be unfair in the extreme not to point out that they also inherited a genuine mess of a situation at Anfield. Hodgson was in charge of a team that was devoid of ideas, with our main striker so disillusioned by life that he wanted to move to Chelsea and our goalkeeper turning to food to help him through the tough times. Off the pitch things were no better; far too many people had been promoted above their station and everyone was out to cover their own backs rather than aid in the forward motion of the football club. That was a mentality that would take years to shift, not days. On top of that there were players like Joe Cole on ludicrous contracts that we couldn’t easily get off the books. FSG, on the recommendation of the baseball Moneyball genius Billy Beane, appointed Damien Comolli as the club’s director of football strategy. The narrative nowadays is that the Frenchman’s time at the club was all but a disaster, yet the facts don’t necessarily agree with that thinking. To what extent he was responsible for each and every signing is a matter of some debate, but whilst he was at Liverpool we signed Luis Suarez, Andy Carroll, Jordan Henderson, Charlie Adam, Stewart Downing, Doni, José Enrique, Sebastián Coates and Craig Bellamy. There’s an argument to suggest that he had a 50% hit rate there, with Suarez, Henderson and Bellamy particular stand-outs. Many will point to the singings of Carroll and Downing as major mistakes, yet Comolli surely intended for the former Aston Villa man to be crossing the ball in to the former Geordie, but they didn’t appear on the pitch at the same time anywhere near as often as he would have envisaged. Is that the fault of the owners, Comolli or the manager? It’s anyone’s guess, really, but I’d suggest that Kenny Dalglish didn’t fancy them together and so the team that our director of football strategy pictured dovetailing so well together never materialised. Perhaps Comolli can be criticised for not exploring Downing’s lack of mental strength, but how many people actually thought the former Middlesbrough captain would be so weak on that front? Transfer fees are always tricky, owing to inflation and so on, but during their reign the most that Hicks & Gillett spent in the money of the day was £69.7 million. FSG spent more than that in their first season in charge at the club and their record transfer spend thus far is £117 million. In total they have sanctioned the spending of over £500 million. The counter to this will always be ‘net spend’, but it’s such a false argument in my opinion. We had a ‘positive net spend’ last summer and fans were furious. If we’d kept hold of Jordon Ibe, Jerome Sinclair and Martin Skrtel we’d have had a negative net spend but we’d also have three mediocre players on our books. When looking at transfer we need to forget how much money we made and concentrate on how much we spent and who we spent that on. One criticism that would be fair is that we don’t spend enough on wages, but that’s not always a guarantee of success; a quick look at Leicester’s success last season and Manchester United’s perpetual stint in sixth place will tell you that. There’s also the ‘we don’t hold on to our best players’ argument and, again, that has its merits. Yet at the same time how exactly were we supposed to persuade Luis Suarez to stick with us when he was so evidently determined to head to Barcelona? Likewise, Raheem Sterling’s agent had done his level best to destroy the player’s reputation with the fans and ruin his own working relationship with the club. Keeping hold of a want-away player has proven difficult for many clubs before us and will do so again in the future. As I hinted at before, more than anything else supporters want the club to go out and spend the same sort of money as Chelsea, Manchester City and Manchester United. Sadly that is unrealistic without a similar sugar-daddy in place to the likes of Sheikh Mansour, Roman Abramovich or Old Trafford’s ticket sales. There’s also the little matter of Financial Fair Play and if you think that doesn’t matter then you haven’t been paying attention to what’s been going on at other clubs. The likes of PSG, Man City and Chelsea can get around the FFP problem by sneaky means, such as having their owners subsidiaries sponsor the club or their training ground or some such thing. We don’t have that luxury. Could FSG be better owners? Yes. They could definitely spend more money in the right way. But they could also be significantly worse owners and that’s something that we really can’t brush under the carpet. Not every thing that their critics use as a stick to beat them with is fair, much as not everything that others forgive them for is right either. The truth lies somewhere in the middle. But we can’t beat both Manchester Clubs or Chelsea in an arms race so we need to do things smarter. They haven’t got around to doing that quickly enough, but now that Jürgen Klopp’s in charge we’re at least heading in the right direction and that’s something worth keeping an eye on.